Cold applied, self-adhesive polymer modified bitumen damp proof membrane, which is tough, durable and fatigue resistant. Specification compliant with BS 8102. 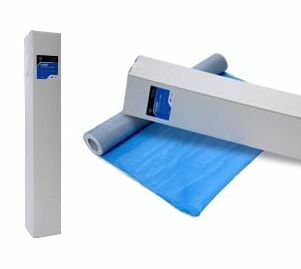 Can be used as fully bonded damp proof membrane and utilised within retaining wall construction. A combination of a high-density polyethylene film and modified self-adhesive bitumen compound.